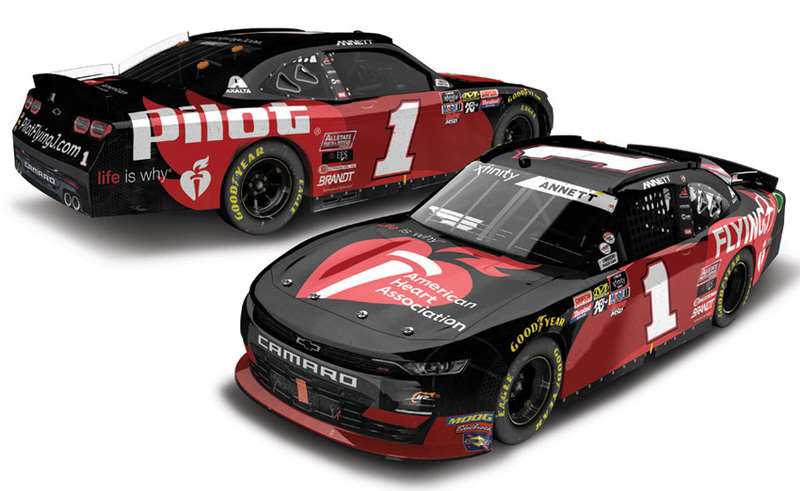 2019 Michael Annett #1 Flying J / American Heart Association / Daytona Win / Raced Version / Chevrolet Camaro NASCAR 1/24 diecast, by Action Lionel. 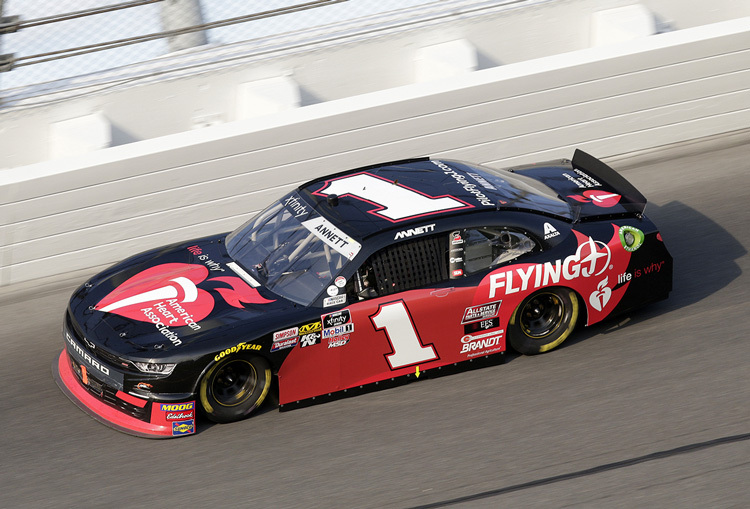 Michael Annett raced this JR Motorsports #1 Flying J Chevrolet Camaro to victory in the NASCAR xfinity Series, NASCAR Racing Experience 300 at Daytona International Speedway on February 16, 2019. This was Michael Annett's 1st NASCAR xfinity Series Win. Autographed - This diecast car will be autographed by Michael Annett. 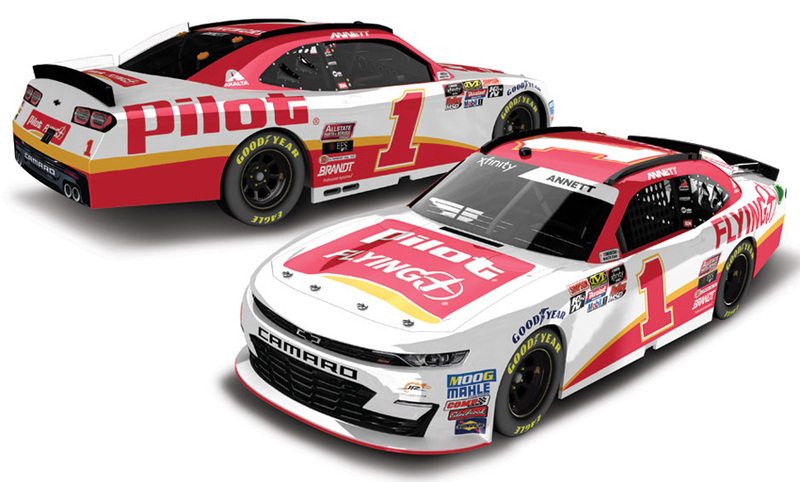 2019 Michael Annett #1 Flying J / American Heart Association / Daytona Win / Raced Version / Chevrolet Camaro NASCAR 1/64 diecast, by Action Lionel. Michael Annett raced this JR Motorsports #1 Flying J Chevrolet Camaro to victory in the NASCAR xfinity Series, NASCAR Racing Experience 300 at Daytona International Speedway on February 16, 2019. This was Michael Anett's 1st NASCAR xfinity Series Win. 2019 Michael Annett #1 Pilot Flying J / Chevrolet Camaro NASCAR 1/24 diecast, by Action Lionel. 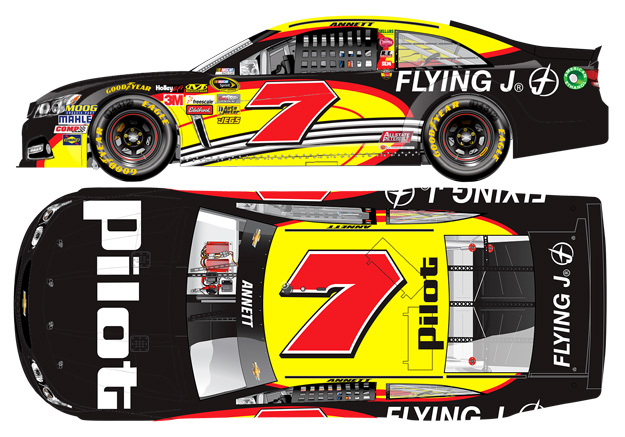 The JR Motorsports #1 Pilot Flying J Chevrolet Camaro will be raced by Michael Annett during the 2019 NASCAR xfinity Series season. 2019 Michael Annett #1 Pilot Flying J / Chevrolet Camaro NASCAR 1/64 diecast, by Action Lionel. 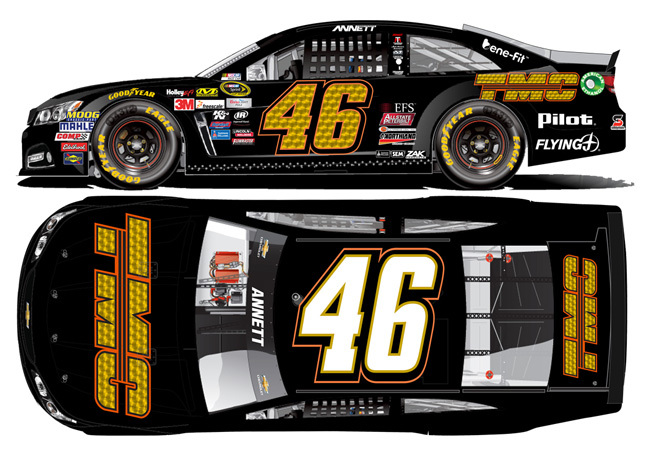 The JR Motorsports #1 Pilot Flying J Chevrolet Camaro will be raced by Michael Annett during the 2019 NASCAR xfinity Series season. 2015 Michael Annett #46 TMC Transportation / Chevrolet SS NASCAR diecast, by Action. The HScott Motorsports #46 TMC Transportation Chevrolet SS was raced by Michael Annett in the NASCAR Sprint Cup, Hollywood Casino 400 at Kansas Speedway on October 18, 2015. Back in the 1970's Harold Annett, Michael's Dad, owned a Winston Cup team sponsored by TMC Transportation.